This morning live from CES 2017, LG took the liberty to announce their new flagship HDTV for this year, the razor thin W series. 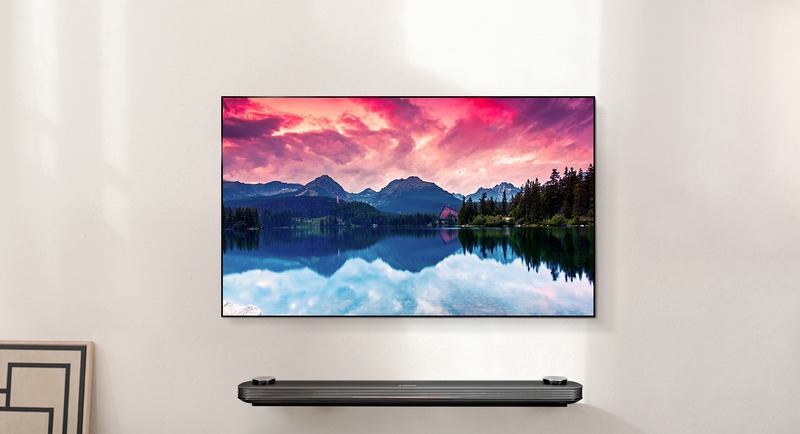 Measuring only 2.57mm and clearly designed to be wall mounted, the W series manages to fit such a thin profile by removing almost everything that goes into a traditional HDTV. No, you will not find HDMI ports, audio inputs, or anything really… except for a cable that connects directly to the companion sound bar. The W series comes in two sizes, 77-inches (OLED77W7P) and 65-inches (OLED65W7P) respectively. 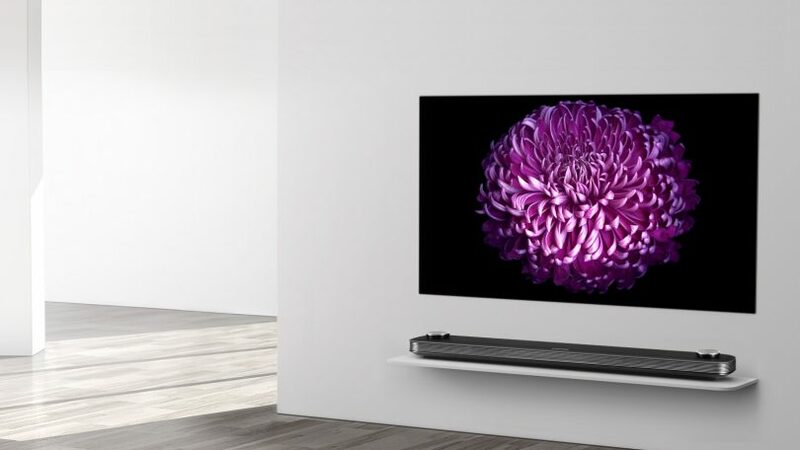 The sound bar is part of the overall package with the W series, as it houses all the necessary connections to keep the OLED panel so thin. Taking a cue from Samsung’s Evolution Kit, this should allow the W series to withstand any HDMI revision changes, provided you’re willing to upgrade your sound bar in the process. The sound bar hosts 4 HDMI inputs, 3 USB ports, and a Toslink connection for optical audio. 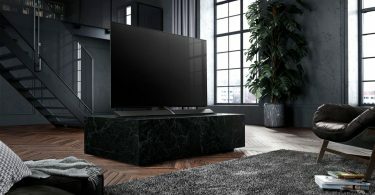 The sound bar is equipped with Dolby Atmos certification, so expect audio quality that is a considerable step above what’s found in a traditional TV. LG also confirmed that users can still use their own sound setup, however, as the sound bar houses video inputs, you will have to make room for the sound bar, no matter what. In terms of specifications, LG has fitted the W series with a 4K OLED display, that supports the full spectrum of HDR content. Yes, this includes Dolby Vision, HDR10, and Hybrid Log Gamma, a feature that’s rarely seen on most HDR displays (manufacturers typically stick to either HDR10 or Dolby Vision). LG also touts Active HDR, which dynamically adjusts the HDR image frame-by-frame, even if the HDR content contains static or no metadata. 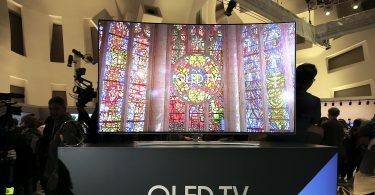 You can expect the same perfect black levels and absurd contrast ratios that really make OLED technology stand out from the crowd. On top of this, the W series features LG’s pixel dimming control technology to render black without light leakage, on top of ULTRA luminance technology to dynamically deliver higher brightness when needed. Additionally, you can expect LG’s webOS to power the Smart TV functions on the W series, just like their previous displays. You will find the standard fare of streaming services such as Netflix, Hulu, Vudu, and Amazon, with enough improvements to hopefully invalidate a separate streaming box. No pricing structure has been announced for the W series, but you can probably expect it to be in the high end ranges exceeding $4,000. 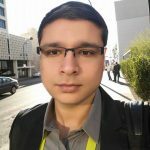 LG didn’t make any specific gaming claims regarding the W series, but I’m hoping they learned about their input lag woes with the previous generation OLED screens, and will provide low input lag for serious gaming.